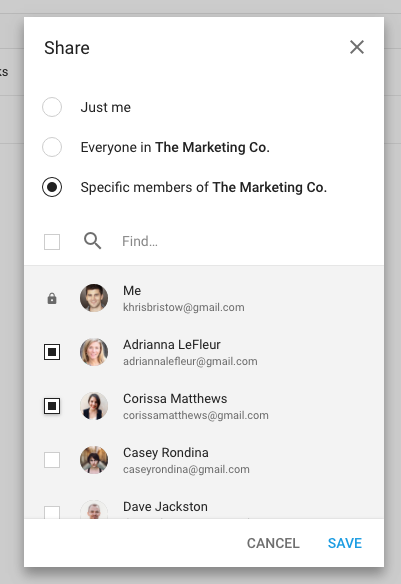 Once you've invited your team members to TimeHero you can start assigning them tasks. The project where the task lives will determine who you can assign the task to. If the project is inside a folder with restricted sharing permissions, you'll only be able to assign to team members who have access to that folder. To change sharing permissions on a folder (and thus all project and folders within it), select the folder and choose 'Share'. Note that you can only set sharing permissions on folders that are at the very first level of your team's projects view. Your team member will be notified that a new task has been assigned to them. If the task has a work estimate (15 minutes by default) TimeHero will find the best time in their schedule for them to work on that task.